A group of Inglewood, Calif., police officers who fatally shot a young couple while they sat in a parked car are no longer on the force. Inglewood Mayor James T. Butts made the announcement Tuesday but did not specify whether the officers were fired or allowed to resign without being held accountable for their actions, the Los Angeles Times reports. The Los Angeles County District Attorney’s Office is continuing to investigate the shooting. “The department’s report and any discipline that results from the report are confidential,” Butts said. On Feb. 21, 2016, Inglewood Police Officers Michael Jaen, Richard Parcella, Jason Cantrell, Sean Reidy and Andrew Cohen fired a barrage of 20 bullets into a car while Marquintan Sandlin, 32, and Kisha Michael, 31, sat inside, apparently unconscious. Autopsies later showed that both Sandlin and Michael had been under the influence of alcohol. Butts did not name the police officers in his statement, but the Los Angeles Times released the names after submitting a public information request. As The Root previously reported, Michael and Sandlin had gone on a date. At around 3 a.m., Inglewood police officers responded to a call about a suspicious vehicle idling in the middle of the road at the intersection of Inglewood Avenue and Manchester Boulevard. How Did a Calif. 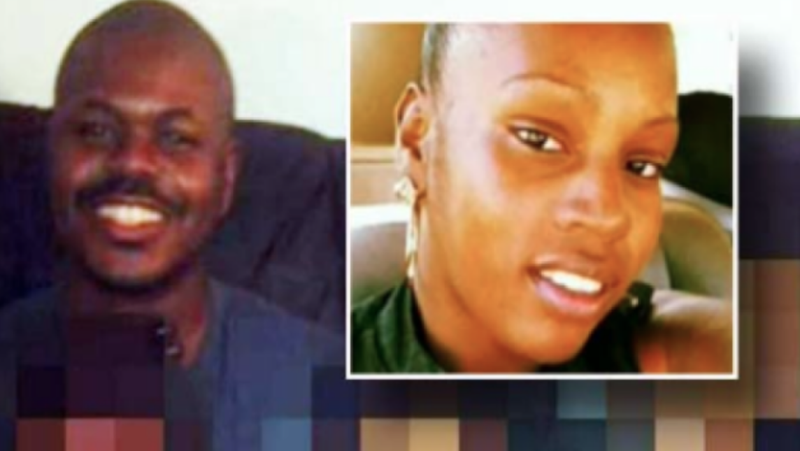 Couple on a Date End Up Fatally Shot by Police? The officers allegedly tried to rouse the couple for approximately 45 minutes. At some point, they said, they could see that Michael had a gun in her lap. “Obviously, at some point they were conscious because somebody felt threatened,” Mayor Butts, a retired law-enforcement officer, said at the time. So threatened, in fact, that his police officers opened fire and riddled a car with more than a dozen bullets. There was never any indication that Michael threatened any officer with a weapon. Shell casings at the scene were evidence that military-grade rifles had been fired, NBC Los Angeles reports. “For the city to come out now and say these officers are no longer employed with the Inglewood Police Department is an admission of guilt to me,” attorney Milton Grimes said. Grimes is representing Michael’s family in a civil lawsuit filed against the city, the Times reports. Michael was a mother of three sons; Sandlin was a father of four daughters. The news that police officers responsible for the massacre of a sleeping couple are no longer employed by the Inglewood Police Department comes on the same day that the Cleveland Police Department announced that Timothy Loehmann—the police officer who gunned down 12-year-old Tamir Rice as he played in a park with a toy gun—has been fired because he lied on his job application.